Like the early efforts of the Wright Brothers to fly, mole control has a long and sometimes comical history of failures. Homeowners and professionals have employed sonic chasers, vibrating windmills, and a host of ineffective mole repellants, traps, and baits to rid lawns of moles. Much of this failure stemmed from a lack of sound, reliable research data on mole behavior and physiology. 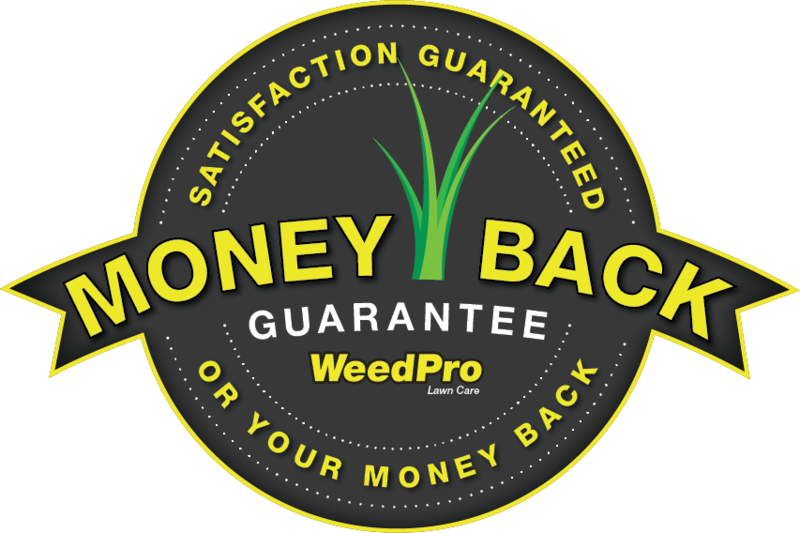 Working in conjunction with leading scientists in the field of mole biology, WeedPro® Lawn Care tested the effectiveness of existing bait forms and different procedures on the market today. 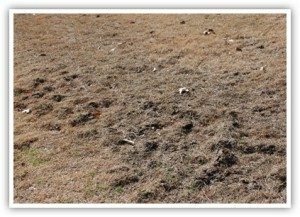 Data returned from our field trials examining different soil types and conditions determined that bait products which mimicked the earthworm, the mole’s natural food, were the most effective in luring moles. 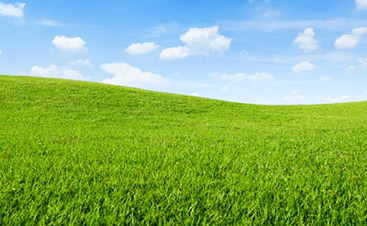 At WeedPro® Lawn Care, we only use the best possible mole control products. Our bait meets all standards for capability in this field by reproducing the mole’s natural environment. Now that this fact is known, we’ve discovered that our bait is wildly consumed and highly effective in reducing mole activity in lawns. 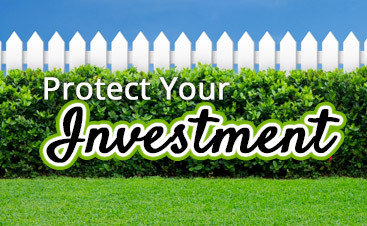 A certified WeedPro® Lawn Care professional will set up a preliminary evaluation. We evaluate and map out a site plan to determine the location of surface tunnels and exploratory tunnels. Treatment by a baiting process of the active runs is conducted. Follow-up visits to determine the success of the program are included. It’s that easy. We do all the work! Moles are insectivores (they eat insects), and their primary diet is earthworms, with a few grubs and insects tossed in as appetizers. They don’t eat plants, and so their landscape carnage is really the incidental damage created by tunnels and runways dug in lawns while on their never-ending search for more worms. Moles are seldom seen because they live and feed underground. They’re gray to dark brown in color, about 6 to 7 inches long, and most distinguishable by their long noses and paddled, webbed front feet—perfect for tunnel excavation. They have no visible ears, either. Those padded front paws allow moles to dig tunnels at a rate of 1 foot per minute. Because they are voracious feeders who eat quantities nearly equal to their body weight every day, moles are constantly tunneling in search of meals. It’s this action that pushes up mini mountain ranges all over the lawn. Sometimes moles come up higher and create volcanoes of soil in random spots. On a good day (for the mole, not the lawn-owner), a hard-working mole can dig 100 feet of new tunnels! One saving grace is that moles are anti-social mammals. Generally, only one or two are active in a given yard. Moles seek each other out only for the purposes of mating, and typically have two to five babies at a time. A mole’s lifespan is two to three years. What Are Mole Surface Tunnels? (2) Exploratory Tunnels are deep burrows for protection and the rearing of young. The deep burrow is marked by a conical mound of earth that the occupant has pushed to the surface, whereas the shallow burrow is marked by a meandering ridge of earth pushed up by the mole as it “swims” through the loose topsoil. Moist, well-drained fence rows, terraces, and lawns, as well as knolls rich in organic matter, are favored areas for surface burrows because food is more abundant in these localities. Certain surface burrows are used frequently as “super highways”; others, especially intricate side branches, are used only once in the food-getting process and are then allowed to collapse. Moles cannot see and spend almost all of their time underground. They may be active at any hour of the day but generally are more active in the daytime than at night, in response to the movement of earthworms in and out of the soil. Also, they are active throughout the year. A 5-ounce mole will consume 45-50 lbs of worms and insects each year. Moles can dig surface tunnels at approximately 18 feet/hour. Moles travel through existing tunnels at about 80 feet/minute. Moles contain twice as much blood and twice as much hemoglobin as do other mammals of similar size. This allows moles to breathe more easily in underground environments with low levels of oxygen. Still, as fascinating as they are, you don’t want them in your yard. 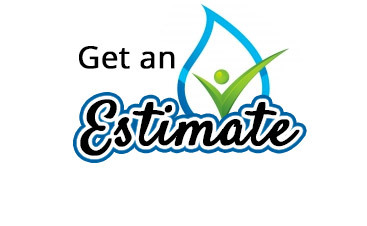 Contact WeedPro for the best in mole removal today!